The first-time deal in Canada will see navigation application Waze share traffic data, from its 103,000 users in Montreal, in exchange for data the city compiles from cameras, radars, and sensors that capture driver's bluetooth devices. In effort to improve traffic flow, the City of Montreal began exchanging real-time data with the navigation application Waze in an unprecedented deal in the country. 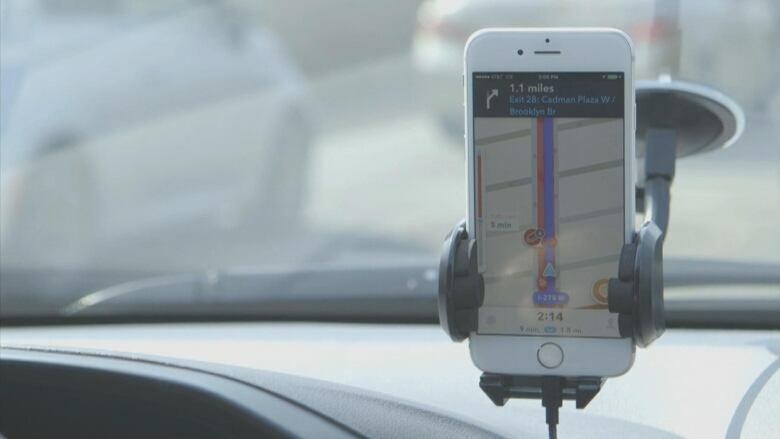 "We are the first Canadian city to sign a deal with Waze," vice-president of the City of Montreal's executive committee, Harout Chitilian, told Radio-Canada when he announced the partnership Friday. Waze, a Google-owned application, allows drivers to find shortcuts, and avoid everything from potholes to construction work, thanks to public data provided by its own users. In exchange for data provided by Waze's 103,000 Montreal users, the city's Urban Mobility Management Centre — which controls Montreal's hundreds of traffic lights — will send its own real-time traffic data compiled by cameras, sensors and radars. Chitilian said the partnership with the "cutting-edge" company was a "match made in heaven" given the City of Montreal's goal to take a leadership role in the smart city movement. It was a match made in heaven. - Harout Chitilian, vice-president of the City of Montreal's executive committee. "For us it's to have a very detailed picture of the transit situation on the island of Montreal and for Waze it's also beneficial because they get access to all our construction planning data and they also get access to the detour routes for the construction sites," Chitilian said. The pilot project is set to last 24 months and currently only runs in the Ville-Marie borough. "The goal is to spread it out across the city," Chitilian said. The city approached Waze to do the collaborative program at no cost and now joins Washington D.C., Los Angeles and Boston in partnering with the company. The City of Montreal already collects traffic data using hundreds of sensors installed in 32 brown boxes located at the foot of traffic light posts. "There's a lot more technology in the traffic control cabinet than people think," said Patrick Lauzière, vice-president of technology and development for Orange Traffic, a Quebec technology company that specializes in traffic management. Those sensors can also detect drivers' Bluetooth devices, allowing the the city to collect data from thousands of Montrealers. "It does not identify the person but it will be able to tell statistically how many cars took a route versus another and how long it took in each way," Lauzière said, "This way you could choose the best path and make sure you optimize your trajectory." The city is now considering the possibility of establishing more sensors on the island.